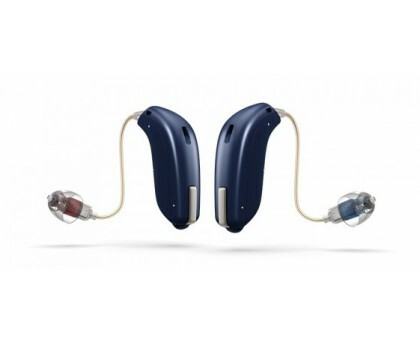 Oticon Opn introduces ground breaking technology that is fast enough to support the brain and precise enough to monitor the soundscape resulting in users being able to effectively cope in noisy and dynamic environments. It is available as a MiniRITE or BTE. There are 3 levels of Technology. Spatial Sound LX - 4 Estimators - Improves sound location and provides more accurate spatial awareness. Spatial Noise Management – Optimises listening in noisy situations. Speech Guards LX - Level 1 - Preserves the dynamics of speech. OpenSound Navigator - Level 1 - Improves speech understanding in difficult environments. 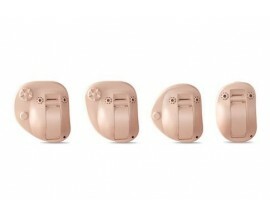 Transient Noise Management - 4 Configurations - Protects against sudden loud sounds. Clear Dynamics - Preseves sound quality even at loud input levels. 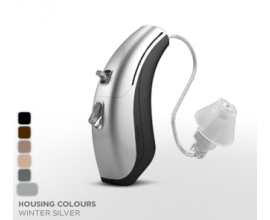 Adaption Management - Adapts in 3 steps for gradual user acclimatisation to a new hearing aid. Stereo Streaming - Streams audio imput in stereo. 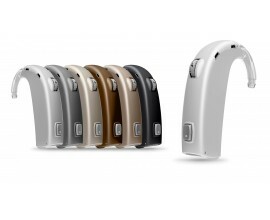 Phone Program - Optimises the hearing aid for telephone conversations. 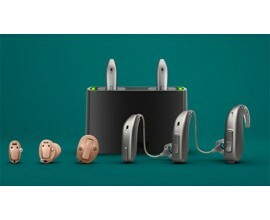 Binaural Coordination - Coordinates program and volume settings between the two hearing aids. Feedback Shield LX - An ultra-fast and effective feedback management system. Wind Noise Management - Protects against the discomfort of wind noise. Soft Speech Booster LX - Improves soft speech understanding. 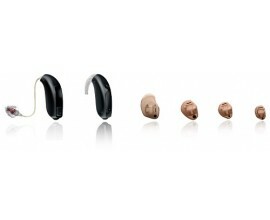 Made for iPhone - When the hearing aid is directly connected to iPhone it can double as a wireless headset. 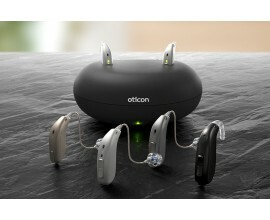 Otiocon ON App - Allows the user to adjust the volume, switch between programs and settings. TV Adapter 3.0 - Stream stereo audio to your hearing aids. Remote Control 3.0 - Adjust volumne, swtich between programs or control connectivity sources.